Member of Better Business Bureau. (BBB) We are proud to maintain an outstanding A+ rating score as accredited business by the Better Business Bureau. Tour Deposit: Your tour deposit is for land services only and will be confirmed upon receipt of your $250 deposit for escorted tours and $350-$500 for group travel. Deposit payment applies for land packages only, air travel will be purchased separately. If you are paying by check, your deposit payment must be received in our office within 10 business days to avoid cancellation. Flights: Airfare is paid separately. Airfare is non-refundable and non-transferable after tickets are issued. Before purchasing your ticket, please review your airline terms and conditions for additional requirements and restrictions. Prices: tour prices are for land packages only and are inclusive of land and services taxes. Rates are per person in US dollars and are based on double occupancy in a room. Our tour package rates do not include airfare, airport taxes, fuel surcharges and all other taxes related to your airfare. All rates for our tours reflect a 3% discount for purchases paid by check. Discounts are not provided for sales paid by credit card. In case of human or computer error, Americas Israel Travel, Inc. reserves the right to re-invoice for the correct price or service. Installment Payments: We can only accept installment payments for Land Tours in the amount of $500 or more per payment. Installment payments paid by credit card on Land Tour balances are subject to 3% handling fees. Final Payment: Final payment is due 60 days prior to departure. All payments made within 21 days of departure must be in the form of a cashier’s check or direct bank deposit. Reservations & Payments: Your tour reservation will be confirmed based on availability at the time of booking. Receipt of a deposit of $250 per person and a signed Registration Form are required to hold your reservation. The balance is due 60 days before departure. America Israel Tours accepts all major credit cards. The credit card used for payment must be owned by the traveler. Third-party credit cards are not acceptable. Certified bank checks or credit cards are required for reservation and final payments made within 30 days of departure. Credit Cards: We accept Visa, MasterCard and American Express. Credit card charges will only be processed upon completion of the tour registration form and must be owned by the traveler. Third-party credit cards are not acceptable. Payments made within 21 days of departure must be in the form of a certified check or credit card. Up to 90 days or more prior to departure – $100 per person service charge will apply. Between 89 and 60 days prior to departure – $250 per person cancellation fee per person will apply. Between 59 and 31 days prior to departure – cancellation fee of 50% per person of the tour cost will apply. Between 30 days to day of departure or no show – cancellation fee of 100% per person of the tour cost. Up to120 days or more prior to departure – $100 per person cancelation fee will apply. Between 120 and 60 days or more prior to departure – $250 per person cancellation fee will apply. No refund will be paid for unused land services such as: transfers, sightseeing, meals, hotel accommodation, entrance fees, or any others unused services that are listed in the tour program. Up to 120 days or more prior to departure – $100 per person service charge will apply. Between 119 and 90 days prior to departure – $500 per person cancellation fee per person will apply. Between 89 and 60 days prior to departure – $1000 per person cancellation fee per person will apply. Between 59 and 45 days prior to departure – $1500 per person cancellation fee per person will apply. Between 44 and 31 days prior to departure – $2000 per person cancellation fee per person will apply. Rebooking Fee: Up to 60 days before the departure of your tour, you may change your booking to a different date for a fee of $100 (due when you pay your final balance). You will be responsible for paying any difference in tour price due to price increases. If you have purchased airfare, you will also be responsible for any additional cost or penalties related to the change of date. Prices: Prices are per person and are based upon shared twin room occupancy. In case of human or computer error, America Israel Tours, Inc. reserves the right to re-invoice for the correct price or service. A full refund will be made to passengers who choose not to pay an increase, provided America Israel Tours, Inc. receives a written cancellation within five days of the price increase notification. Health & Medical Conditions: The majority of our tours require a walking ability of 2 miles (average) a day in uneven surfaces in a majority of archaeological sites that may lack proper signage and accessibility amenities. America Israel Travel, Inc. is not responsible for evaluating whether this tour is physically suitable for you. It is the sole responsibility of the travelers to make sure that they are physically able to handle the day by day activities and sightseeing. We are not responsible for any medical conditions or health issues that may occur during the tour. Please advise us if there is any medical condition/s that can prevent you from participating in day-by-day walking / touring. America Israel Travel, Inc. is not responsible for any injuries that occur along the tour or any medical needs during your trip. We highly advice the purchase of travel insurance. Travel Protection: America Israel Tours recommends that you purchase a Travelex travel protection plan to help protect you and your travel investment against the unexpected. Travel protection plans include coverage for Trip Cancellation, Trip Interruption, Emergency Medical and Emergency Evacuation/Repatriation, Trip Delay, Baggage Delay and more. For more information on the recommended plans or to enroll, contact Travelex Insurance Services at 1-800-228-9792 and reference location number 05-0358. The product descriptions provided here are only brief summaries. The full coverage terms and details, including limitations and exclusions, are contained in the insurance policy. Travelex CA Agency License #0D10209. All products listed are underwritten by, Berkshire Hathaway Specialty Insurance Company, NAIC #22276. Passport and Documentation: Your passport must be valid for at least six months following your entry date to your travel destination. For more specific visa requirements, please contact the relevant consulate for update information. America Israel Tours, Inc. is not responsible for providing any travel documents to any of our destinations, including visas. It is the sole responsibility of the traveler to confirm with the consulate of each country visited, about any necessary travel documentation/visas required to enter these countries. Airlines and Air Tickets: Passengers are responsible for ensuring that America Israel Tours, Inc. has the correctly spelled names for air tickets reservations. Due to newly introduced security measures, any name change, including minor spelling corrections, may require airline reservations to be canceled and rebooked. America Israel Tours, Inc. will not be held responsible for the denial of services by a carrier due to any name discrepancy. Subsequent name corrections will be subject to an airline rebooking fee of up to $300 per ticket. Air reservations are subject to availability at the time of rebooking. All airline tickets issued in conjunction with this tour are subject to air penalties per individual carrier’s rules and regulations which will be applied. We suggest you contact the carrier several weeks prior to departure for seat assignments. Passengers are responsible to reconfirm their flights 72 hours prior to departure for all flights. Packages are based on discount fares for group travel. Group members deviating from group dates will be charged a $75-$150 deviation fee per person. Airfare & Ticket Revisions: Passengers are responsible for providing accurate passport names for air tickets reservations. America Israel Tours will not be held responsible for the denial of services by a carrier due to any name discrepancy. Once tickets are issued, name/s change/s or any ticket revisions will be subject to an air carrier rebooking fee of up to $400 per ticket plus any increase in fare. Passengers are responsible to reconfirm their flights 72 hours prior to departure for all flights. Airport Taxes and Fees: All airline tickets are subject to a variety of foreign and domestic government taxes which include security charges, the September 11th Security Fee, airport facility charges, customs and immigration fees, inspection fees, fuel surcharges and more. The total of these taxes may vary and will be approximately anywhere between $50 and $350 per passenger and are collected by America Israel Tours. Inc. Taxes and fees are subject to change. Airport taxes & fees which appear on the invoice reflect the taxes and fees that are applicable when the original reservation is completed. These taxes and fees may vary prior to airline tickets being issued. We reserve the right to amend the airport taxes & fees to reflect any changes prior to ticketing. Stand-by Passengers: Passengers flying “stand-by” or that have not submitted there booked flight itinerary to America Israel Tours within 5 days of Tour departure will not be entitled to arrival transfers. Baggage: Luggage is the responsibility of the passenger/s and that of the airlines. For lost/delayed luggage claims, the passenger is responsible for notifying the airline directly. As all airlines differ and restrictions change periodically, we recommend that you call the airline directly with questions about your baggage allowance. America Israel Tours, Inc shall not be held responsible for any delay or damage to or loss of luggage and/or personal items. 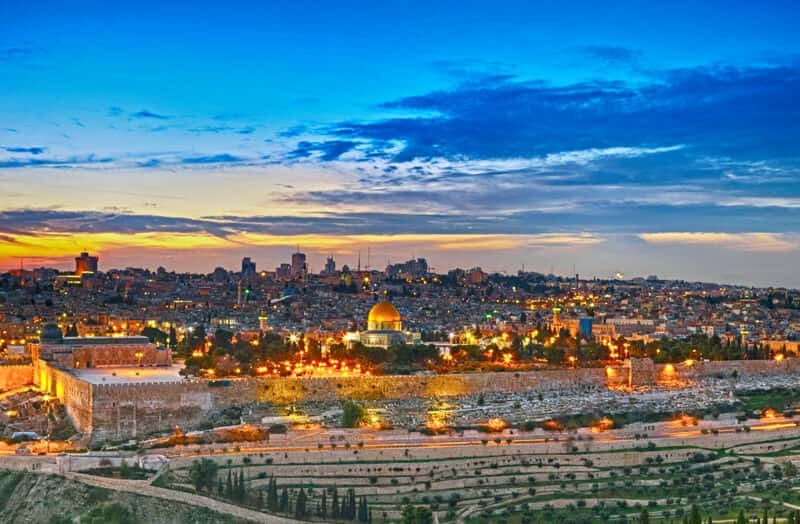 Tour Itinerary: America Israel Tours, Inc. reserves the right to change the itinerary due to unforeseen circumstances. In all cases, America Israel Tours, Inc. will do its best to maintain the content of the tour. 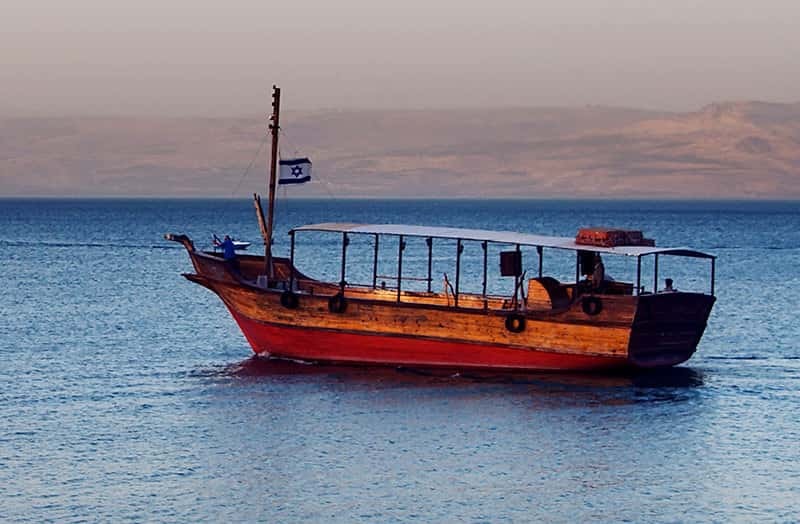 If the tour services as indicated by the itinerary cannot be supplied or there are changes in the itinerary for reasons beyond the control of America Israel Tours, Inc., we will arrange for provision of comparable services. 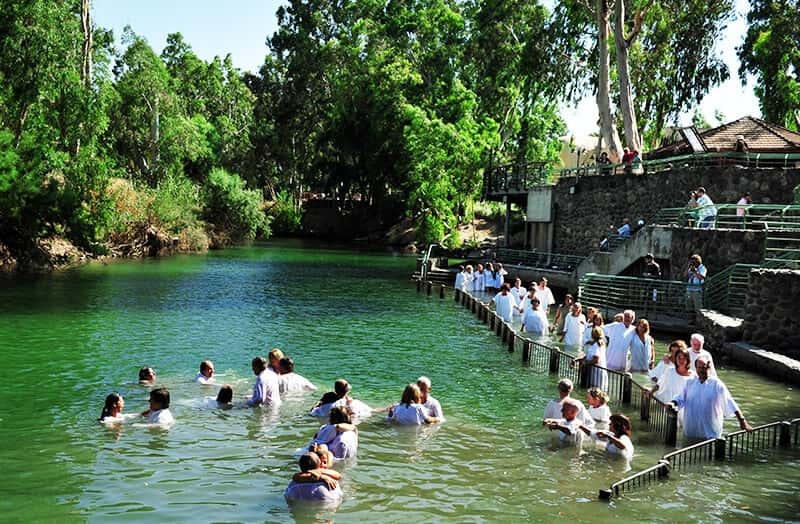 America Israel Tours, Inc. reserves the right to make changes in the itinerary whenever America Israel Tours, Inc. deems it necessary to the comfort, convenience and safety of the participant at any time. No refund will be paid for unused services such as: transfers, sightseeing, meals, hotel accommodation, entrance fees, and others that are listed in the tour program. Tour Cancellation: Escorted tour packages are based upon a minimum number of participants. America Israel Tours, Inc. reserves the right to cancel any listed tour departures in case of lack of participation. Cancellation of any tour for lack of participation will be advised at least 30 days prior to the tour’s departure. In case of tour cancellation, tour payments will be refunded excluding airfare cancellation penalty. Alternatively, in case of tour cancellation, you will be offered an equivalent tour in similar departure date. Gratuities: Tour packages do not include tipping for tour guides, bus drivers, porters and hotel staff. Please consult with your tour specialist for up-to-date tipping recommendations in your travel destination. Tour guide: 6$ per person per touring day. Driver: $3 per person per touring day. Private car tours: $10 to $12 per person per day for each day of sightseeing. Porter: $0.50 per bag per person. Wait staff: $1.50 per person (dinner only). Meals: Meals are based on the hotel’s or restaurant’s buffet or set menu. In general, beverages are not included, unless specifically stated. Hotels Accommodation: Hotels will be provided in accordance with the itinerary or similar. We reserve the right to make substitutions with hotels of equal standard. There will be no refunds for any difference in the cost of those accommodations. All rooms are standard twin-bedded rooms with private facilities, unless you have specifically requested and paid for an upgraded room category. Special requests such as bed types, smoking preference and connecting rooms are subject to availability. Room selection in all cases, unless otherwise reserved, is strictly at the discretion of the hotel’s management on a run-of-house basis. Triple rooms consist of standard twin beds plus a sofa/folding bed or cot for third person. Hotel check-in time is generally not before 4:00 p.m. and check-out time is prior to noon. Please be sure that adequate arrangements for accommodations have been taken into consideration when a late night flight is being used. Not Included: Items of a personal nature such as laundry, wines, mineral water, beverages, coffee, tea, meals other than described in the tour details, any other service not described as included, passport and visa fees, travel protection, and airport taxes and fuel surcharges. Passenger Information: Passengers are responsible to ensure that America Israel Tours, Inc. has the correctly spelled name, address, email and fax data for all passengers. Names printed on the invoice must exactly match the first and last name written in their passport (middle names or initials are not needed). America Israel Tours, Inc will not be responsible for passengers who do not receive an invoice or documents due to inaccurate information. Documents: Your tour documents, including paper air tickets or E Ticket receipts, tour confirmation voucher and all other related information, will be sent approximately two to three weeks prior to departure provided full payments has been received. Post Office Box numbers cannot be used for delivery of travel documents. Please provide a complete street address. For shipping by 2nd Day Air, a $15 fee will apply; for Next Day Air, a $25 fee will apply. One set of documents will be mailed per reservation. Escorted Tours Cancellations: Escorted tours are based upon a minimum number of participants. Cancellation of any tour for lack of participation will be advised at least 30 days prior to the tour’s departure, and all money will be refunded. America Israel Tours, Inc. will not be held responsible for any costs relating to the issuance and/or cancellation of airline tickets or visa fees. Voluntary cancellations due to political instability, acts of terrorism, government intervention, or US State Department warning will be subject to the above fees, provided the program is deemed able to continue. Should America Israel Tours, Inc. elect to cancel a departure for any of these reasons, every effort will be made to obtain refunds from suppliers, however no guarantees can be provided on their behalf. Customer Service: All customer service issues and refund requests must be submitted in writing and received no later than 30 days after your return. Refunds are subject to a processing fee of $50 plus any hotel and/or supplier charges incurred. Airline flight cancellations and delays for any reason are not the responsibility of America Israel Tours, Inc. Submit your claim directly to the airline. America Israel Tours, Inc. does not guarantee airline response. Photography: Any photographs and/or digital images of you taken during our tour could be used in America Israel Tour’s marketing material. These materials might include printed or electronic publications, web sites, social media or other electronic communications. You further agree that your name may be revealed in descriptive text or commentary in connection with the image(s). You authorize the use of these images without compensation. All negatives, prints, digital reproductions are property of America Israel Tours. Website (americaisraeltours.com): Your use of americaisraeltours.com constitutes your agreement to all such terms, conditions, and notices. Liability Disclaimer: The information, products, and services published on this website may include inaccuracies or typographical errors. Changes are periodically made to the information which appears on the website. The content of this site is not guaranteed to be complete, accurate, or available and may be changed at any time without notice. America Israel Tours, Inc. may make improvements or changes on this website at any time. In no event shall America Israel Tours, Inc. be liable for any direct, indirect, punitive, incidental, special, or consequential damages arising out of, or in any way connected with, the use of this website, or for any information, products, and services obtained through this web site, or otherwise arising out of the use of this web site. Our site uses a booking form for customers to reserve and purchase travel services. We collect your contact information (such as your email address), financial information (such as your account or credit card numbers), and demographic information (such as your zip/postal code and age). If necessary, we will share information about you and your purchase with the cruise line, airline, hotel, or car rental agency you designate. We will only provide the necessary information to ensure your travel arrangements are confirmed with these travel suppliers. The travel suppliers will use your credit-card information to process your ticket or reservation. 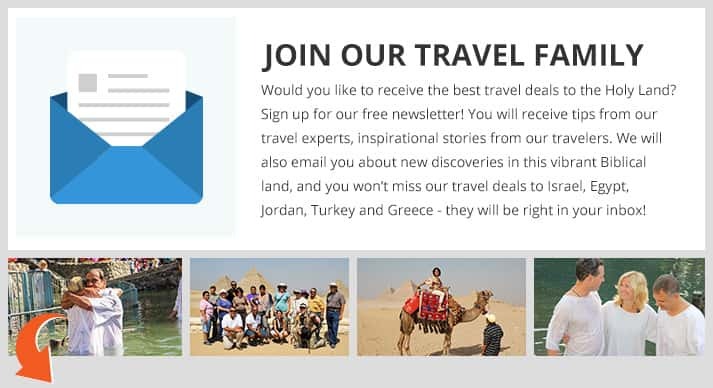 Special Offers & Newsletters: We send all new members a welcoming email. Existing members will occasionally receive information on tour products, services, special deals, and a monthly newsletter. Out of respect for the privacy of our customers, we present the option to not receive these types of communications. This photo contest is valid for photos taken on America Israel Tours, Inc tours from September 1, 2013 to September 30, 2015. After the closing date, one image will be named as the winner, based on America Israel Tours’s choice. We reserve the right, at our discretion, to disqualify any image. Maximum 25 entries per person per contest. Image should be submitted as jpeg or jpg. All entries must be submitted via the online entry form on www.americaisraeltours.com or on Facebook. The winners consent to the use of their image, name and/or photograph in any publicity carried out by America Israel Tours, Inc., without further compensation. The winning image will be judged by the America Israel Tours, Inc. team. America Israel Tours reserves the right to withhold prizes if the quality of entries falls below the standard required. The winning image will be showcased on one of that month’s newsletters and our social media. Prize non-transferable. Image Use: Please note that all America Israel Tours website content is the sole property of America Israel Tours Inc. This includes, but is not limited to, images, logos, tour itineraries, travel guides, and all other written content. The use of any content from our website without America Israel Tours’s written consent is illegal and punishable by law.